Jon Jones has heard the comparisons and he’s not impressed. Even as Israel Adesanya took part in one of the year’s best fights on Saturday at UFC 236, and even as Adesanya won a five-round unanimous decision over Kelvin Gastelum to capture an interim middleweight title and improve to 17-0 in MMA competition, “Bones” remains hesitant to lavish praise upon the rising star. It doesn’t help that Adesanya has repeatedly been compared to Jones due to his long and lanky frame and rapid ascent up the UFC rankings, nor that Adesanya has mentioned adding Jones to his hit list that already includes the legendary Anderson Silva. A potential superfight with Jones, the current light heavyweight champion and one of the most successful fighters in the history of the sport, might be too far down the road to be seriously discussed, and Jones responded to one fan on Twitter who agreed with that sentiment before going on to downplay Adesanya’s UFC 236 triumph. 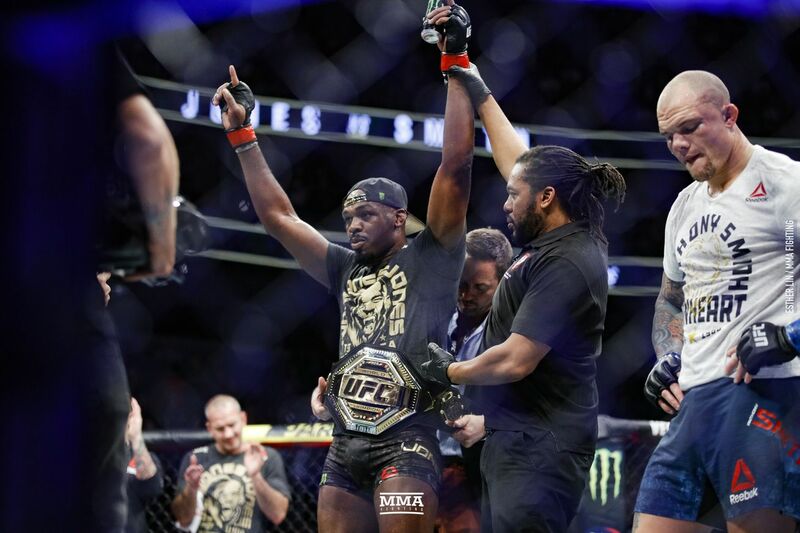 Jones went on to clarify that he meant no disrespect to Gastelum and he actually complimented Gastelum for putting on a strong striking performance against an opponent with a decorated kickboxing background. Jones concluded the series by writing, “You can believe the hype if you want to. I’ve seen all I had to see.” And then offering a parting shot at Adesanya. Up next for Jones, he is scheduled to defend his light heavyweight championship against Thiago Santos at UFC 239 on July 6 at T-Mobile Arena in Las Vegas.